Canco | TaxConnections is a where to find leading tax experts and tax resources worldwide. Envision a situation where a foreign corporation (“Forco”) buys all of the shares of a private Canadian corporation (“Canco”) for $10 million. So far, I have discussed the use of Forco within the context of a relatively simple structure where it would be a wholly-owned subsidiary of Canco. In many situations, that simple structure will be appropriate, but in others situations, there may be a better alternative. Two common variations are discussed below. As is the case with most major counties, Canada has rules in its tax laws aimed at preventing income from being shifted to other jurisdictions by unreasonable transfer pricing . To date, most of the activity of the CRA and reported tax cases has focused more on inbound transfer pricing issues involving charges by multi-national corporations to Canadian subsidiaries. 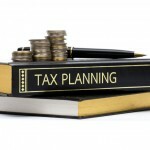 However, the rules can certainly be applied in connection with outbound tax planning of the type being outlined in this series .